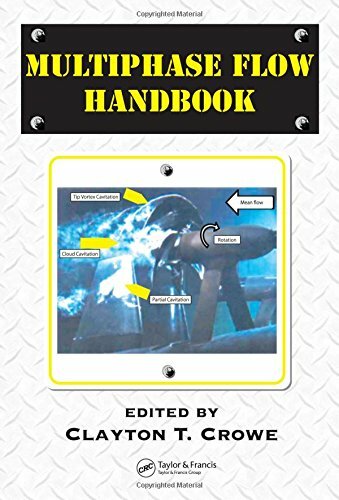 [PDF] Multiphase Flow Handbook (Mechanical and Aerospace Engineering Series) | Free eBooks Download - EBOOKEE! Description: Because of the importance of multiphase flows in a wide variety of industries, including power, petroleum, and numerous processing industries, an understanding of the behavior and underlying theoretical concepts of these systems is critical. Contributed by a team of prominent experts led by a specialist with more than thirty years of experience, the Multiphase Flow Handbook provides such an understanding, and much more. It covers all aspects of multiphase flows, from fundamentals to numerical methods and instrumentation. The book begins with an introduction to the fundamentals of particle/fluid/bubble interactions followed by gas/liquid flows and methods for calculating system parameters. It includes up-to-date information on practical industrial applications such as boiling and condensation, fluidized beds, aerosols, separation systems, pollution control, granular and porous media flow, pneumatic and slurry transport, and sprays. Coverage then turns to the most recent information on particle/droplet-fluid interactions, with a chapter devoted to microgravity and microscale flows and another on basic multiphase interactions. Rounding out the presentation, the authors discuss numerical methods, state-of-the art instrumentation, and advanced experimental techniques. Supplying up-to-date, authoritative information on all aspects of multiphase flows along with numerous problems and examples, the Multiphase Flow Handbook is the most complete reference available for understanding the flow of multiphase mixtures. No comments for "[PDF] Multiphase Flow Handbook (Mechanical and Aerospace Engineering Series)".